At the top of the article there is also a link to a similar article for Delphi XE5. 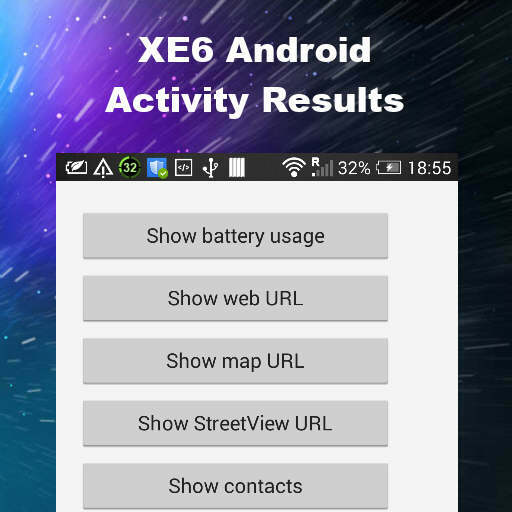 Head over and read the full article about starting an Activity on Android and processing the results with Delphi XE6. In delphi XE7 SharedActivity.startActivity(JIntent); not working in android apps. It is giving error while building the app. Can you please look into this and help us ? And also TextPrompt (Water Marks) are not working in TEdits in android. You can also just stick a TLabel inside of your TEdit and align it to Content or Client. Set it’s HitTest property to false. In the onChange event show it or hide it based on if the Text property is blank. TextPrompt had issues in previous versions too so I used this workaround instead. But it is working fine in Delphi XE6 Update 1 ? What about SharedActivity ? Please guide on this. Other wise shall we go back to the XE6 ?